Winfield Vista wall mount locking top loading mailbox has a modern contemporary design. 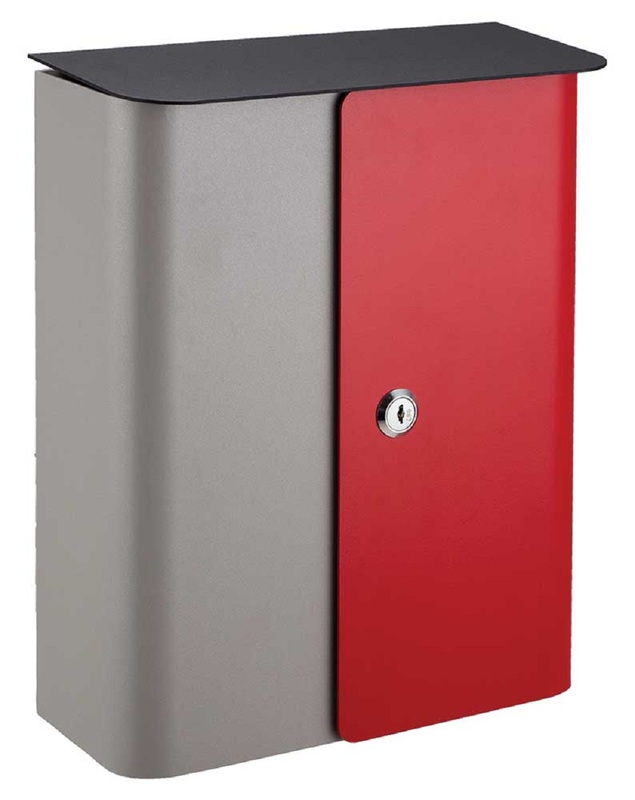 Mailbox is made of galvanized steel with a tough powder coat finish and features a gray body, red door and black top or a stainless door with black body and black top. Weather resistant lock and set of keys included. Incoming mail slot is covered by a steel lid, slot opening is: 8-5/8" x 1-1/8"